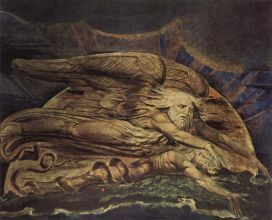 William Blake (November 28, 1757 – August 12, 1827) was an English poet, painter, and printmaker. 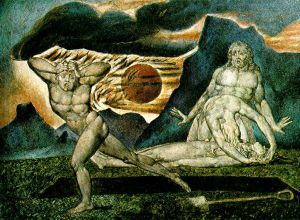 Largely unrecognised during his lifetime, Blake's work is today considered seminal and significant in the history of both poetry and the visual arts. 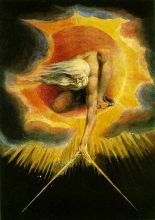 He was voted 38th in a poll of the 100 Greatest Britons organised by the BBC in 2002. 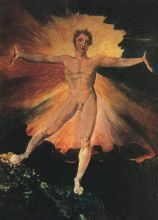 According to Northrop Frye, who undertook a study of Blake's entire poetic corpus, his prophetic poems form "what is in proportion to its merits the least read body of poetry in the English language." 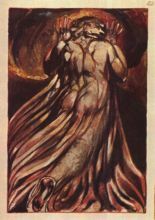 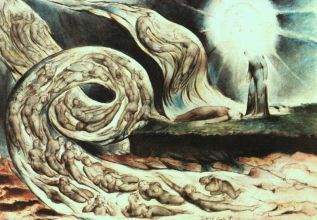 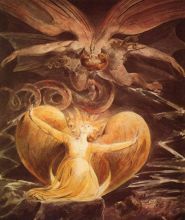 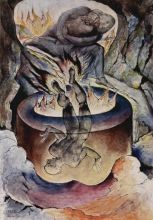 Others have praised Blake's visual artistry, at least one modern critic proclaiming Blake "far and away the greatest artist Britain has ever produced." 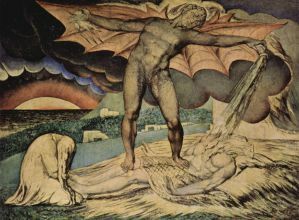 Once considered mad for his idiosyncratic views, Blake is highly regarded today for his expressiveness and creativity, and the philosophical vision that underlies his work. 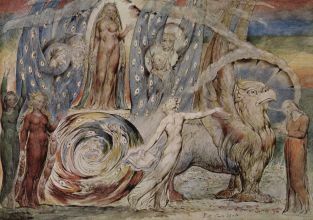 He himself once indicated, "The imagination is not a State: it is the Human existence itself." 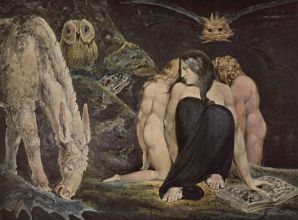 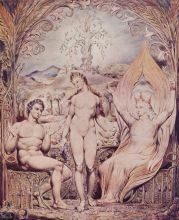 While his visual art and written poetry are usually considered separately, Blake often employed them in concert to create a product that at once defied and superseded convention. 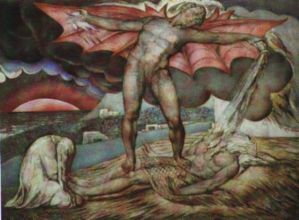 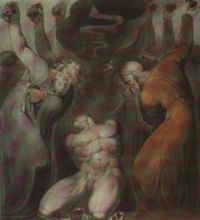 Though he believed himself able to converse aloud with Old Testament prophets, and despite his work in illustrating the Book of Job, Blake's affection for the Bible was accompanied by hostility for the established Church, his beliefs modified by a fascination with Mysticism and the unfolding of the Romantic Movement around him. 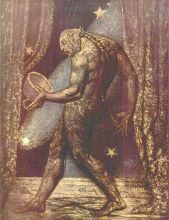 Ultimately, the difficulty of placing William Blake in any one chronological stage of art history is perhaps the distinction that best defines him.